Alhaji Sani Abdullahi-Tsafe, the Special Adviser to Gov. Abdulaziz Yari of Zamfara on intergovernmental matters is dead, aged 61. 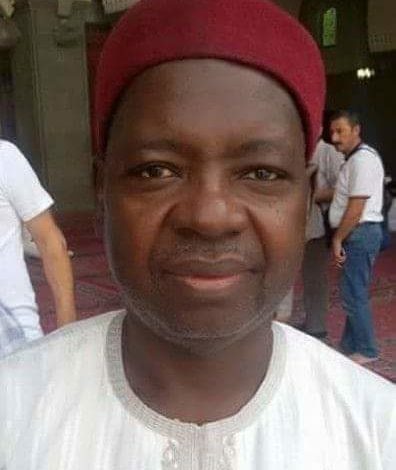 Malam Ibrahim Dosara, the Special Adviser to the Governor on Media and Public Enlightenment, announced the death in a statement in Gusau on Wednesday. Dosara stated that Abdullahi-Tsafe died in the early hours of Wednesday at Nizamiye Hospital, Abuja, after a protracted illness. Abdullahi-Tsafe, who worked with Voice of America over the years, was the Special Adviser to the Zamfara governor on Media between 2011 and 2015. Gov. Yari said the death was a huge loss not only to Zamfara but to Nigeria in general. I have described the deceased as a complete gentleman of the highest order who contributed to the development of Zamfara and the entire northern Nigeria and beyond. Yari said "Alhaji Sani Abdullahi-Tsafe spent his life meaningfully, serving humanity and was always ready to assist in making life easier and meaningful to others, particularly the less privileged in the society. "The deceased was actively involved in the struggle for the creation of Zamfara, with other eminent citizens of the state over 20 years. "I've contributed a lot to his active, vibrant and aggressive media campaign for the creation of Zamfara. "We cherish and appreciate his laudable contributions and successful media struggle." The governor prayed to Allah to grant the deceased Aljannat Firdaus and the family the fortitude the bear the loss. Born in 1957, the deceased left behind three wives and 16 children.